Is that drip something to worry about? A GBA reader from Climate Zone 6 is concerned about water that drips from the underside of his roof soffit when winter snow and ice begin to melt. Writing from Climate Zone 6, GBA reader David Metzger is looking for some advice about his standing-seam metal roof. 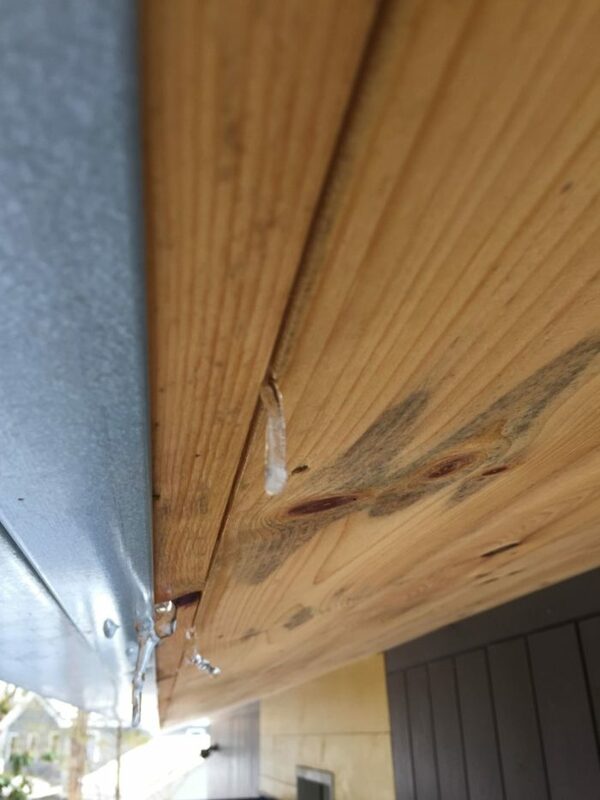 More to the point, why is there water dripping from the soffit when the winter’s accumulation of snow and ice starts to melt? The shed roof showing evidence of problems has a pitch of 3 1/4-in-12 and is framed with I-joists. 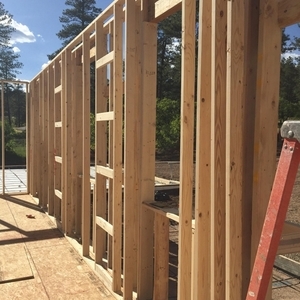 Metzger provides these additional details: “flash-and-batt insulation” consisting of 4 to 6 inches of closed-cell polyurethane spray foam plus unspecified cavity insulation, taped Zip System sheathing, followed by roofing underlayment. 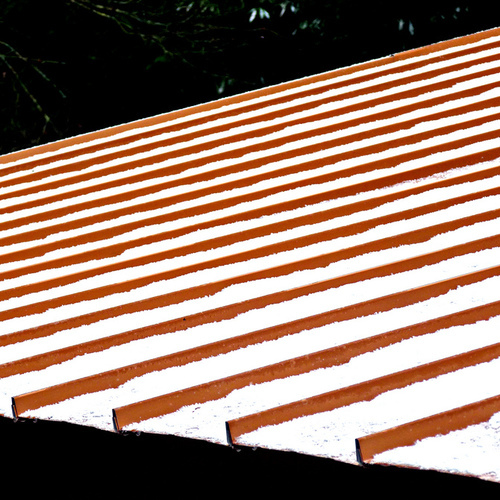 The Galvalume metal roofing has single-lock standing seams that are 1 inch high. “Lots of snow build-up over winter,” he writes. “Due to the pitch and the amount of insulation, there are no conditions where snow slides off on its own. Eventually, ice builds up over top of the seam. As weather gets warmer, water is observed dripping out underneath of overhang (soffit) on low part of the roof. 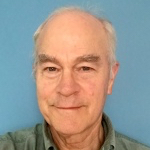 Metzger asks whether a double-lock seam would fix the problem, but adds that if it doesn’t he’s really stuck because he won’t be able to take the metal sections apart and find another solution. What should he do? That’s the topic for this Q&A Spotlight. Eric Habegger suspects there are leaks in the standing seams, although he cautions it may be too early to jump to that conclusion. Possible, but not a sure bet. “What jumped out at me though is the icicles in the interior,” he adds. 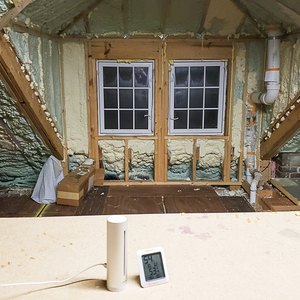 “That would seem to indicate that cold air is bypassing the insulation somewhere. That needs to be investigated. 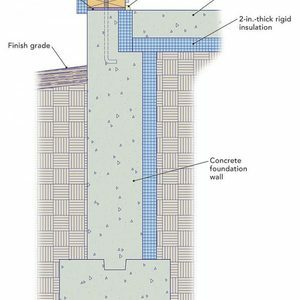 It perhaps is a simple, though not easy to fix, problem of air infiltration past the spray foam insulation where a gap or pulling away has occurred. Keith Gustafson has a shingled roof with a 3-in-12 pitch and he, too, has seen drips of water behind the soffit when the ice and snow are thick enough on his roof. 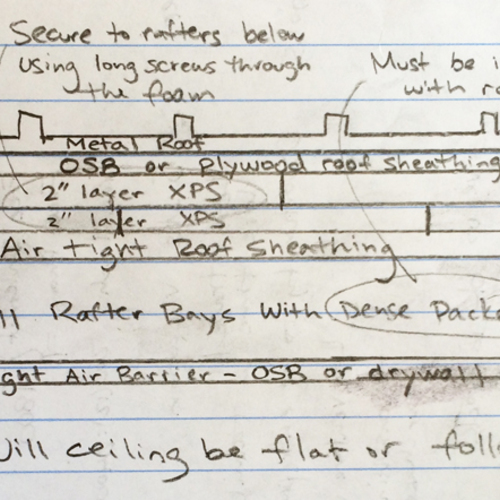 No standing-seam roof will prove truly waterproof, writes GBA reader Hobbit. When enough depth, water will go sideways and find its way into the inevitable gaps between panels. 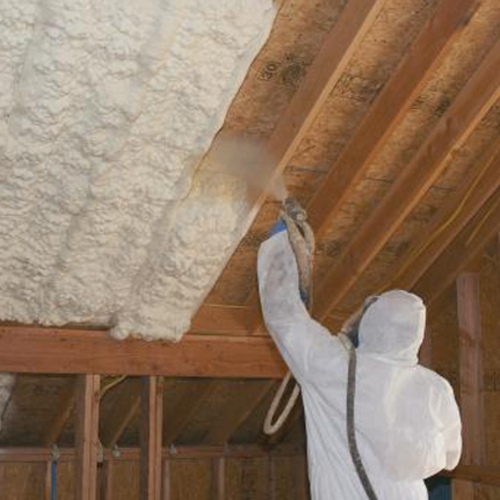 Metzger is certain that the house is tight enough to prevent warm air from trickling up through the roof and condensing on the underside of the Galvalume. But the 3-foot overhang is uninsulated, and it was dripping with water on the first warm day of the year when snow on the roof was melting. The closed-cell foam sprayed on the inside of the roof sheathing is waterproof, Metzger says, so it could be a long time before evidence of a leak starts to show itself. Another issue is whether the contractor who installed the roof is in some way responsible for the problems Metzger is now seeing. “He says he’s never heard of this happening before,” Metzger writes. “If a new roof is leaking, the roofer is of course responsible,” Holladay replies. The roofer wasn’t willing to fix that problem, so Metzger had to set up staging and fix it himself. David Metzger has several questions built into his situation and he and I had a pretty extensive email exchange on this building (which by the way, is a ). To start, know that his building is pretty darn airtight, even in the cathedral ceiling/unvented roof assembly. Often, the 2×6 tongue-and-groove cathedral ceiling is part of a structural roof deck that spans from interior to exterior at the gable and eave overhangs — and so is often very tough to air seal — but that is not the case with Metger’s building. Given when and under what conditions Metzger’s building has shown water leakage, my best assessment is that his well-insulated and air-sealed unvented roof has about R-24 or more on TOP of his roof cladding when it has 2-plus feet of snow up there for an extended period of time. There is enough heat loss trapped by the snow cover to result in melting over the portion of the roof above conditioned space but then it runs down and hits the 3-foot overhang that is quite cold and an ice dam develops. 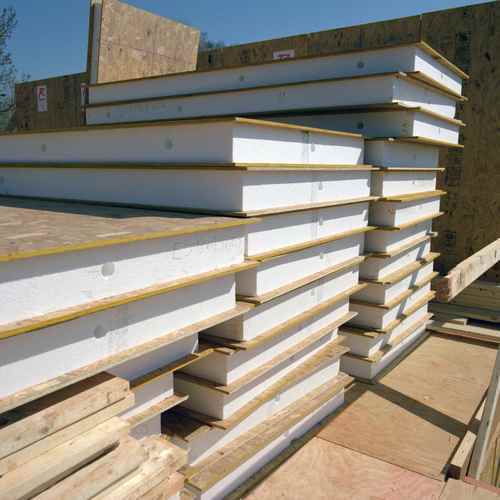 At a 3.5:12 pitch, the ice dam easily builds up enough water to overwhelm the 1-inch standing seam. What is the minimum roof pitch for standing seam metal? I checked in with my expert roofing contact at our local company. International Building Code states the minimum pitch for metal panels is 2.5:12 unless seams are soldered. 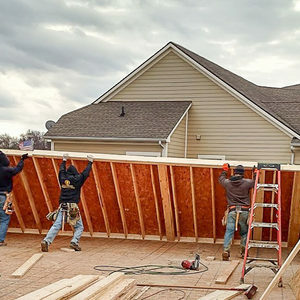 Jancewicz & Son’s approach is for anything less than 5:12, they typically spec high temp, full coverage ice and water shield with a fully sealed seam (during install), commercial grade sealants inside a double lock, and a vented roof. Would pulling snow off just the overhang (and maybe then some) solve the problem? Good question. Perhaps not, since the melt water is likely to still freeze at the overhang and create the dam, just more visibly without the snow cover. Is the roofer the problem? I think, ultimately, yes. You often get what you pay for, and this company just put on the cladding, rather than working through the potential issues this particular building presented for the cladding used. I hate to be mealy-mouthed about this but I am going to suggest two possibilities. One is to do nothing and see what happens next year and cross the bridge of a really unusually prolonged cold and snowy season if and when it presents itself. The other option is to go back to a professional-grade roofing contractor and get his or her recommendations. Here is what Jancewicz suggests: Sorry to say, but start over. Twenty-four-gauge standing seam metal is essential for Climate Zone 6, as well as venting the assembly (see 2b above). Jancewicz is just about never the lowest bid on any project and they spend a lot of time training their sales staff to clearly explain the Jancewicz quality and value proposition.